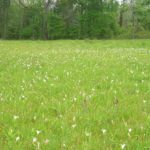 Back in 2007, I visited for the first time a very special place in Cabarrus County known by local conservationists and biologists as the Suther Prairie. This property has been in private ownership by the Ritchie and Suther family for over 200 years. The reason this site is so significant is because it is one of few, and perhaps the only, remaining natural Piedmont Prairie known to exist in our state. 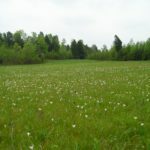 Now this unique site has been formally protected through a partnership between the landowners, Cabarrus County, and the North Carolina Plant Conservation Program. The prairie itself covers only about 8 acres, but the drainage area to the site was also an important part of the purchase, which in all was about 78 acres. Louis Suther, one of the owners of the property says that the Ritchie Family came to the site in 1738 and settled there with a land grant. He goes on to say that the settlers wrote back to the rest of their relatives still at home that they had found a beautiful meadow similar to what they left in Switzerland, and they were building a log cabin just above it. Although many people think that all of the United States was forested before European settlement, there were vast expanses of area that were kept open as grasslands by the Native Americans by burning. The Suther prairie is significant because the land here has never been worked or plowed. The Suthers have managed it for hay and only that. As a result, the wildflowers and grasses have been allowed to flourish. 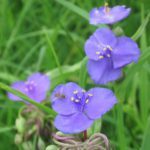 There are over 250 species of plant found on the site. 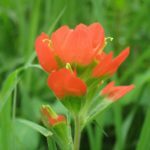 In the springtime the prairie is beautiful with white atamasco lilies, orange indian paintbrush, and purple Virginia spiderwort. 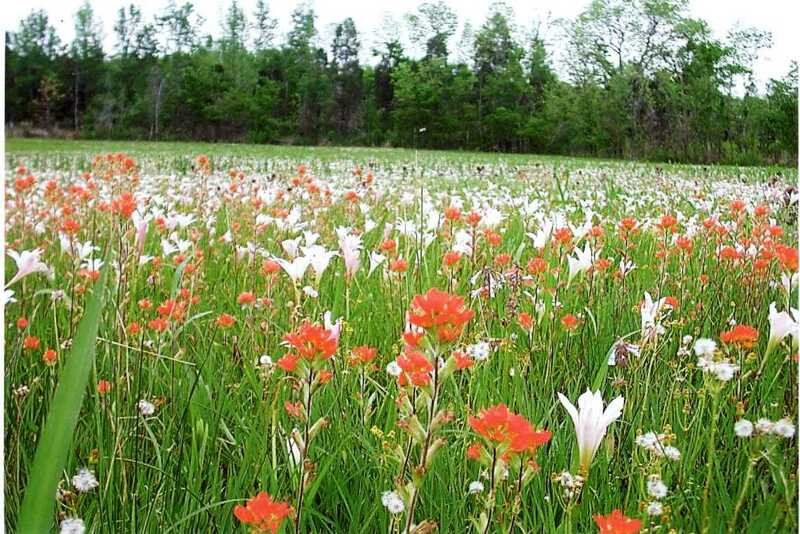 It is also one of very few sites in the state where the red Canada lily grows. Louis Suther has also been a supervisor for Cabarrus County Soil and Water Conservation District for about 19 years. The family already had an easement on the creek protecting the riparian buffer with the state through the Ecosystem Enhancement Program. The City of Mount Pleasant pumps water from Dutch Buffalo Creek, so it was important to the family that the water quality be protected on their farm. 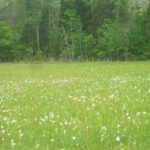 Knowing the significance also of the prairie ecosystem, the family worked with the Cabarrus Soil and Water Conservation District to protect the site. Cabarrus County and the North Carolina Clean Water Management Trust Fund both provided funds towards the purchase of the site, with help from the Conservation Trust for North Carolina and Three Rivers Land Trust (formerly The LandTrust for Central NC). 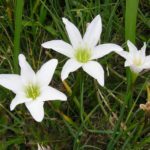 The county has now purchased the site and it is in the process of being turned over to the state of North Carolina’s Plant Conservation Program. They will manage the site to protect the prairie and the diversity of species found there. It is encouraging to know that this special place, which looks the same now as it did 150 years ago, will look the same still in 150+ years to come.